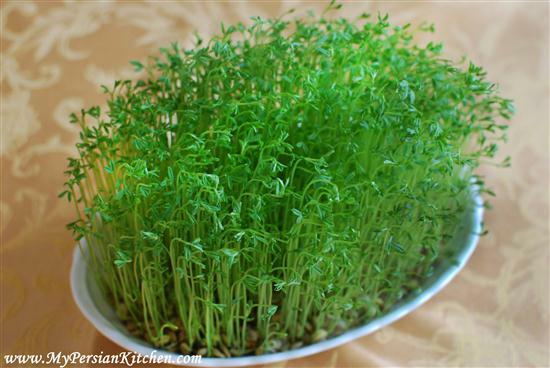 Last year I posted how to grow Sabzeh, Norouz Sprouts, with unpelted wheat. This year I am posting how to do the same with lentils! The process is pretty much the same! I love the fact that we have options as far as what kind of sprouts to grow! 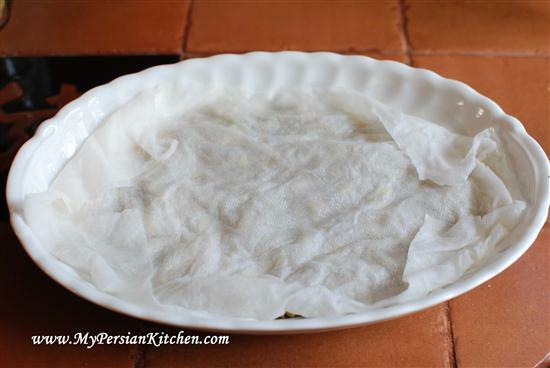 Cover the lentils with a moist towel or paper towel. Sprinkle with water every day. During the first couple of days I just run the paper towel under water and then gently squeeze out the excess water then place it back on the lentils. Once the sprouts grow to about half an inch remove the paper towel. 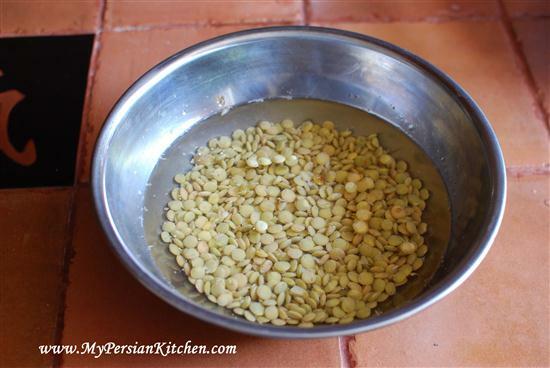 Continue sprinkling the lentils every day with a bit of water. Make sure that there isn’t too much water at the bottom of the dish. Place the sprouts in a bright spot. I put mine on our dinning table across from the window where it got plenty of light but not direct sunlight. I would say it takes about 10 to 12 days for the lentil sprouts to grow the the height of the first picture on this post. 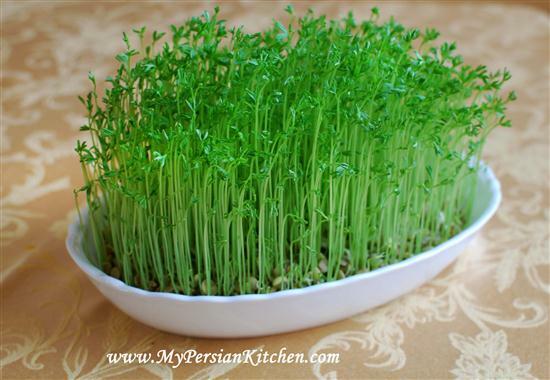 If you start your sprouts today, they will be a good size by the time Norouz rolls around in a week and half! Started mine last week…sprouting nicely…I always do lentil so much prettier than wheat….I keep trying to do Barley …but it never sprouts for me…I think I might be buying the wrong type of Barley ???? Kris, I prefer lentils too! I have never done barley before…my plan is to do that next year!! Love your sprouting technique for lentils. I love growing sprouts in the dead of winter! Thanks for sharing your experiment. 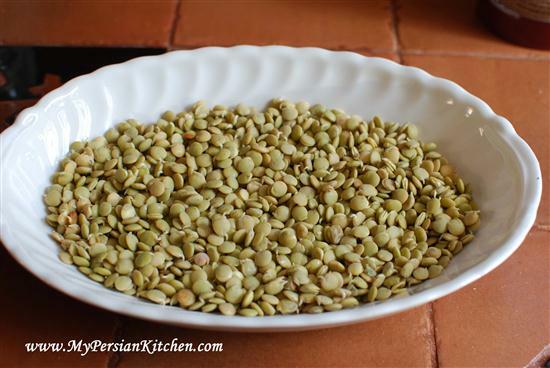 This year I tried mung beans ( persian mash), they grew very fast. In less than 1 week from soaking in water they reached 12 cm tall. The leaves are bigger and fewer than lentil sprouts. I live in Indonesia. Maybe the quality of beans are diffrent from Iran. I love this. I am saving egg shells all winter with just the tip cracked off, washed and dried. I will grow wheat or lentils in some of them in spring. Mina, I never tried mung beans but I have some I got from a whole foods a while back. Do you do the same as with Wheat and Lentil? Personally I like wheat but lentils are easier to come by. By the way, I love this site!!! Keep up the great work! how much lentil do we need? Is it 1 cup? Zo, it depends on how much you need. But 1 cup is a good start.